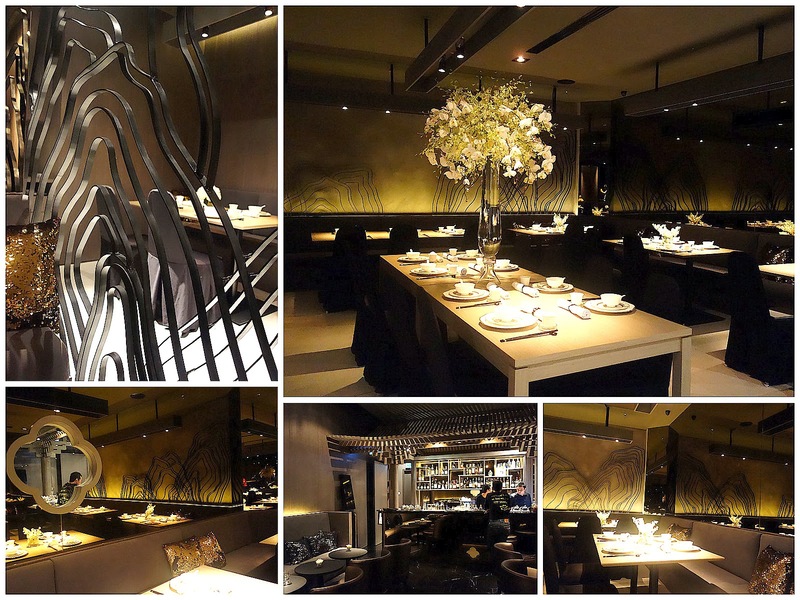 Sensual elegance isn't something that a Chinese restaurant is expected to exude, but Way Modern Chinois sets out to be a breaker of multiple rules, painting on a broad culinary canvas. Opening this week in Damansara Heights, the sister restaurant of Ploy is swathed in shadows, cultivating a cozy-cushy intimacy in a strikingly small space free of traditional banquet tables; it's perhaps the ideal place in KL for a Peking Duck-craving couple to enjoy a romantic evening. Start with dim sum, served both for lunch & dinner; the Pac-Man platter (RM22 before taxes) is a cute one, comprising steamed prawn dumplings marinated with Szechuan spices & ponzu, to be consumed with a cracker resting on mashed avocado. No-carb, no-meat dim sum? No problem. Lettuce-wrapped, carrot-filled 'treasure pouches' (RM17) taste like a healthy treat, enlivened with pumpkin sauce. Cheong fun stuffed with shredded duck (RM17), as expertly executed as everything we had here. 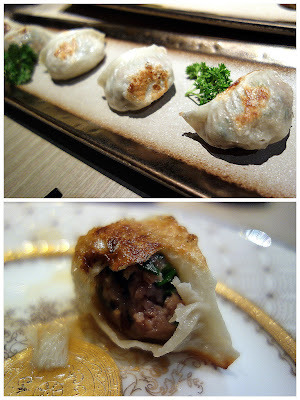 Gyoza-like dumplings, pan-fried & packed with mutton & chives (RM12 for five pieces). 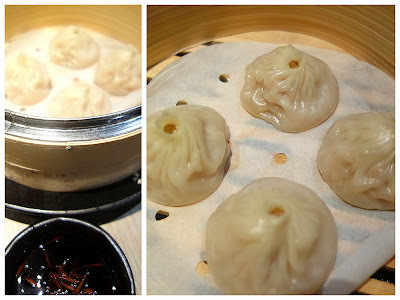 Way is a no-pork eatery, but that won't stop its chicken-based xiaolongbao (RM12 for four) from supplying satisfaction. 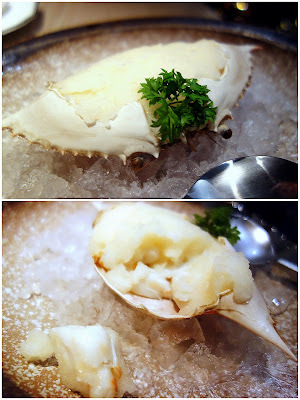 This one's wonderful: Wickedly creamy-smooth congee (RM68), constructed with chicken stock, slow-cooked for 12 hours, crowned with abalone & aromatically enriched with plenty of truffle oil. Tropically tempting: Pina Colada Crab (RM33), chilled crustacean of the flower variety, its meaty flesh coated in soft ice flavored with pineapple & coconut. Way's derring-do extends to its cocktail menu; try this "Journey To The West" of Ron Zacapa rum, dried longan, dried dates, ginger beer, lime juice & lime peel. The downside: It costs RM50. "Long March," with jasmine tea-infused vodka, elderflower syrup, egg white & lemon juice. Note: The way into Way is currently concealed; press the button outside to open this entrance. Fun fact: Way is the Chinese name of the owners' son. It can mean 'unique' in Mandarin. This is a Chinese place? Gee! Can never tell with a name like that and the decor too - real classy and nice. Ahhh...so they are open, finally. Very un-Chinese decor and food seems fusionistic. So reasonable pricing for both portion & quality! I'm surprised it's located so near Ploy..cos that area doesnt seem to have much human traffic (other than office workers & occasional events). I guess it can work either way; everyone goes to either one of the 2 outlets & biz booms, or well, the other way round. The setting looks very chic. Fine dining dim sum, mmm!